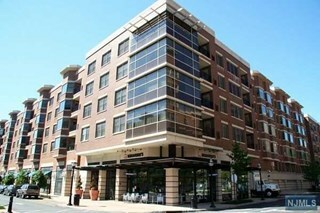 Grandview at Riverwalk, built by Hovnanian Enterprises in 2006, is a 5-story brick, luxury complex. 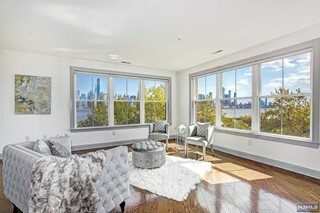 The concept for Grandview was different from other Hudson River waterfront communities and was one of the first major attempts to build a community around shopping and amenities so a homeowner could do everything without leaving the community. Its proximity to New York City has helped owners retain their values of the past seven years. 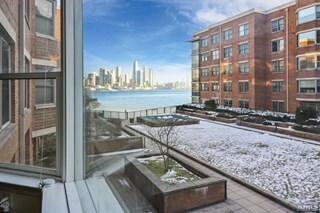 Grandview is just minutes from New York City by ferry from the main New York Waterways Port Imperial FerryTerminal in Weehawken. This was one of the first “Millennial” communities in Hudson County. The striking 5 story brick and glass exterior directly opposite the Empire State Building is directly on the Hudson River Walkway. 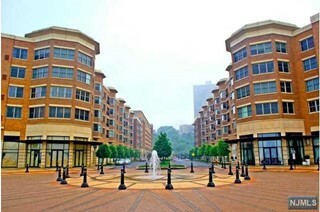 Shopping options include restaurants, with outdoor seating on the Hudson River, The Shops at Riverwalk that include A&P Fresh, Starbucks, Ben & Jerry’s, and numerous other local stores. The community has 1, 2, and 3 bedroom residences as well as 2 bedroom duplexes with a total of 134 beautifully designed residential homes. The modern lobby is welcoming. 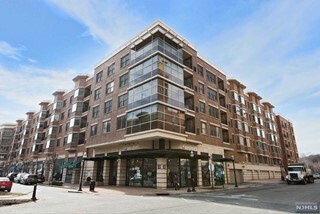 On the ground floor of the building, above the garage, are all the amenities. The complex features 24 hour concierge service, garage parking thats included in the maintenance, a community room and conference center, an outdoor pool, and beautiful full fitness center. 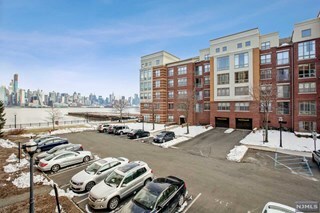 Located ditrectly on The Hudson River Walkway, residents of Grandview at Riverwalk have endless opportunities to see the city and skyline from one of the best vantage points anywhere in New Jersey. Nothing has been spared at Grandview at Riverwalk to create a lavish lifestyle with every amenity of a world class resort, but the most amazing amenity is the world-famous New York City skyline-a glittering panorama of dazzling lights reflected in the waters of the Hudson River. All the residences are decorated with hardwood floors, stainless steel appliances, granite counters and European kitchen cabinets. Residences range in size from 1 bedroom/1bath with approximately 873 square feet to 2 bedrooms/2 baths from 1,280-1,380 square feet. 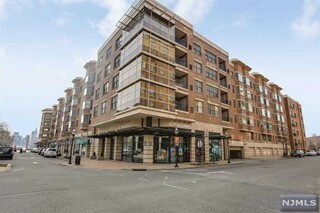 There are a few larger units with unusual layouts up to 1,600 square feet. 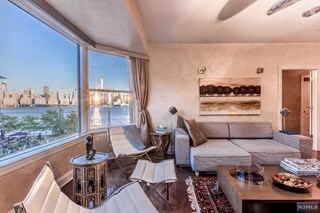 The duplex units are 2 bedrooms/2.5 baths all with courtyard NYC views and 1,650 square feet. Three bedroom/2.5 bath residences are approximately 1,650 - 1,750 square feet. Many residences boast upgraded kitchen, floor and bath packages, but each does have European kItchen cabinetry, center islands, granite counters, stainless steel appliances, hardwood flooring, oversized master bathrooms and walk-in closets in master bedrooms. Some units have Juliet balconies and others have terraces or patios. Amenities include a 24-doorman, fitness center, business center, community room, on-site management and building services, outdoor pool and lovely patio area facing New York City. Restaurants, boutiques shops, a liquor store, bank, nail salon, ice cream parlor and more are at the door. Shopping in Edgewater is about 3 miles north on River Road.